NWYachting Bering 65 Article…and your boarding pass! 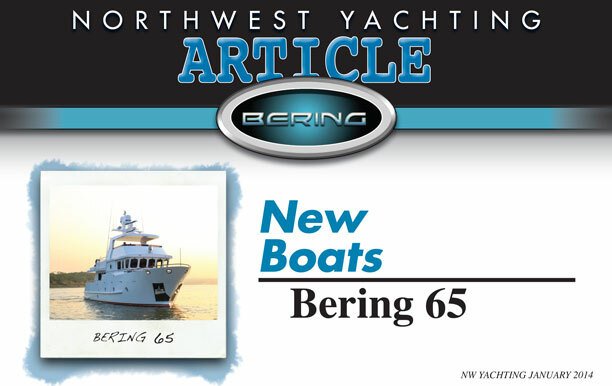 Download / Read about the Bering 65 published in the January 2014 Issue of Northwest Yachting. Waterline Boats is proud to represent Bering Yachts — tough, luxurious, and highly-customizable steel trawler yachts. Waterline Boats’ owners Scott and Lisa Helker had the enjoyable experience of trialing the recently-launched Bering 65 and are now extending the opportunity for you to virtually join us for a short cruise! 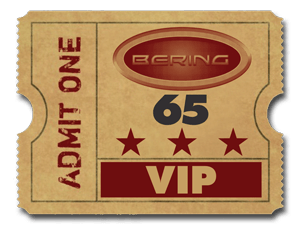 Click your VIP ticket below to enjoy an underway on the magnificent Bering 65. The sea demands toughness – so should you. Bering 65 – Photo Update! Follow the photographic documentation of the Bering 65 on our Waterline Boats website. Here are the latest photos of the Bering 65 as it is commissioned in advance of delivery to its new owner, whose plans call for a cross-Pacific trek and an eventual homeport on the US west coast. Click the images to view photos, layouts and specifications of the Bering 65. You are currently browsing the archives for the Bering 65 category.